On this episode of the Rise of The Young Podcast Casey sat down with Evan Carmichael and goes into what it means to truly believe. Evan believes in Entrepreneurs. At the age of 19 Evan built and sold a biotech software company. By the age of 22 he was a venture capitalist helping raise $500K to $15M. Now, he runs the largest YouTube channel for entrepreneurs known as the "Believe Nation". 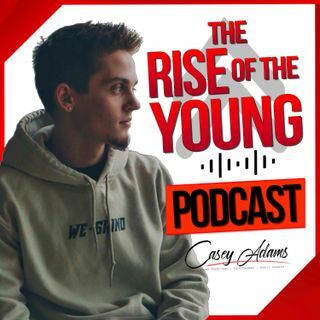 Make sure to SUBSCRIBE to the Rise of The Young Podcast, and let me know what you thought about this episode.